A premium powdered electrolyte supplement which can be used at times of excessive sweating and fatigue, be that at competition, or travelling in hot weather. All Cavalor products are FEI safe. 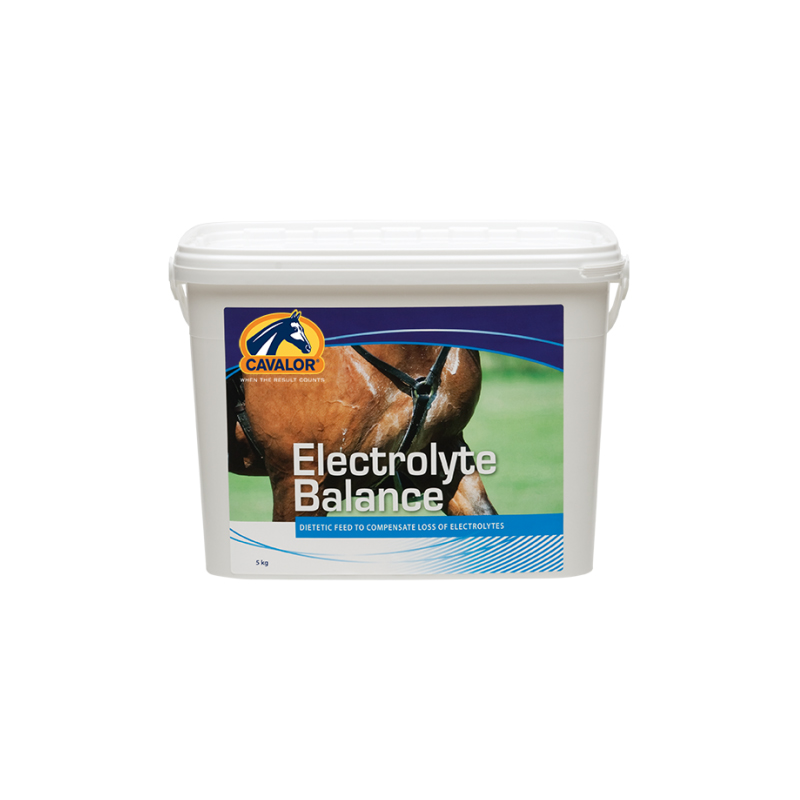 Cavalor Electrolyte Balance contains a number of essential electrolytes (including sodium, potassium, chloride, magnesium and calcium), as well as some important B vitamins. Other ingredients include essential amino acids and sugars (dextrose), which provide energy and promote the absorption of electrolytes. Dosage: 45g per day, which can be given in feed or dissolved into drinking water. If you chose to dissolve this into drinking water please ensure there is “normal” water available to the horse too at all times.